BEORMA [Ber-ma], is the name most commonly given to the 7th century founder of the settlement now know as the English city of Birmingham. This is based on the belief that the original settlement was known as Beorma’s ham. 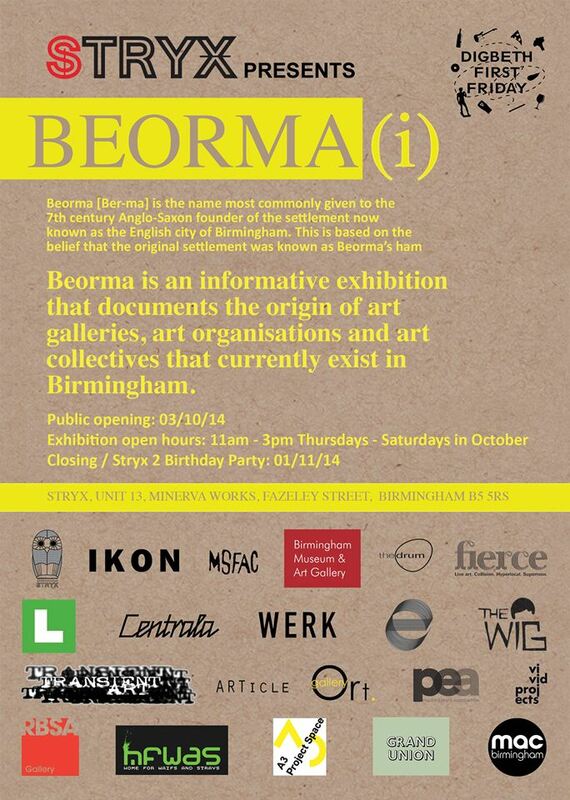 BEORMA is an informative exhibition that documents the origin of art galleries, art organisations and art collectives that currently exist within the city of Birmingham. Posted in Friday 3 OctoberTagged beorma, october, stryxBookmark the permalink.